History of LED Technology – Green Is Better Inc.
Nick Holonyak was sure the LED would replace the incandescent light bulb when he presented it to GE executives 50 years ago. While the incandescent is still king in homes across the nation, the LED has transformed lighting in more ways than Holonyak could have imagined. From those first dim red diodes to powerful streetlights in major cities, the LED has made its mark on the world. The first LEDs were red. This wasn’t an aesthetic choice. LEDs are made by building layers of semiconductor crystals on a wafer. As the layers are added, dopants are added to determine the color of the LED. The tiny wafer is placed into molten liquid and metal contacts and leads are then added. The mixture used in the first LEDs — gallium arsenide phosphide — produces a natural red color. That’s why red became the default color choice for so many indicator lights. New processes have delivered a rainbow of available LED colors, making them suitable for far more than battery indicators and warning lights. But for the first 10 years of their existence, LEDs were red. As relatively inexpensive, low-power LEDs began replacing incandescent bulbs in electronics, prices for those electronics fell into a much more consumer-friendly range. The Busicom LE-120A “HANDY-LE” was the first calculator to use the relatively new segment LEDs in a display. A seven-segment LED display contains seven individual LEDs with one display package. The $400 calculator appeared on the market in January 1971 and was in the pockets of nerds everywhere by Valentine’s Day. The centuries-old art of watchmaking also felt the presence of the LED when, in 1972, Pulsar introduced the first LED watch. Dubbed the Time Computer, the watch was reportedly accurate to within 60 seconds per year. It cost $2,100 because it was the first to utilize LED technology in a small package and it relied on electronics to tell the time. Unfortunately, all this new technology devoured batteries, which is why the watch required the wearer to press a button to see the time. Pulsar introduced a calculator watch in 1975, which, not coincidentally, is right about the time teachers started requiring students to show their work on math tests. In 1993, Shuji Nakamura had a breakthrough in doping (the name for the process by which manufacturers introduce impurities into an LED to change its color properties) that led to bright blue LEDs. Blue LEDs with yellow phosphor coatings gave us the white LED and a whole host of new applications. Suddenly, the LED could be more than just a red dot telling you that you’d left your Walkman on; now it could illuminate the world. 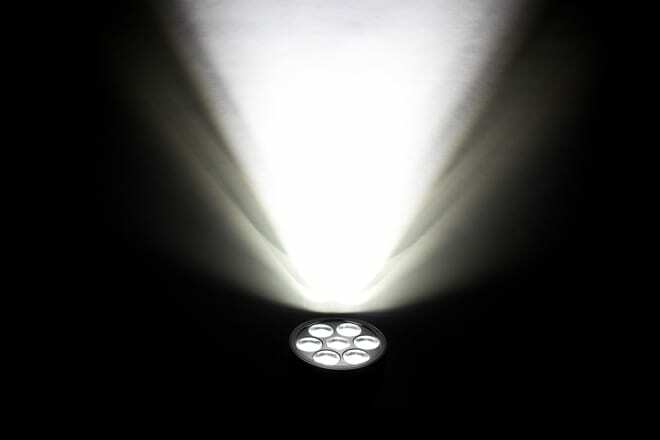 As LEDs grew brighter, the flashlight industry switched over from incandescent lights. The flashlights used less power, and the bulbs never had to be replaced. Now it’s difficult to find a flashlight without LED bulbs. 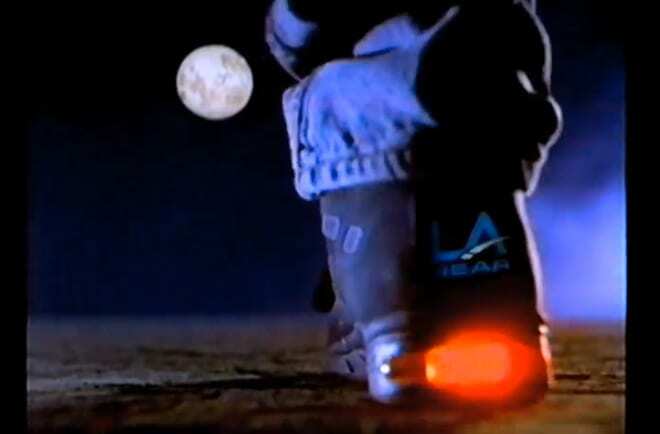 LA Gear introduced a light-up shoe in 1992. Initially marketed to children, the shoes had a red LED that would light up when pressure was applied to the heel. It was a goofy idea that was the bright spot on a rather glum year for the shoe company. The company had so much faith in the future of light-up footwear, it introduced an adult version called Light Gear. Yes, they were for Robert Downey Jr. and the Batman movies; the ’90s were a weird time for shoes. The optical mouse was invented in the early ’80s. But it wasn’t until 1999, when Microsoft introduced the IntelliMouse Optical, that the technology became widely available. The mouse replaced the filth-attracting roller ball with a bright LED. The mouse used image sensors in conjunction with an LED to track the movements of the mouse on any surface. It also signaled the end of the perpetually disgusting mouse pad. The world of HDTVs has moved at an incredible pace in the past 15 years. The CRT is out and HDTV is in. One important component of all this has been, yes, the LED. 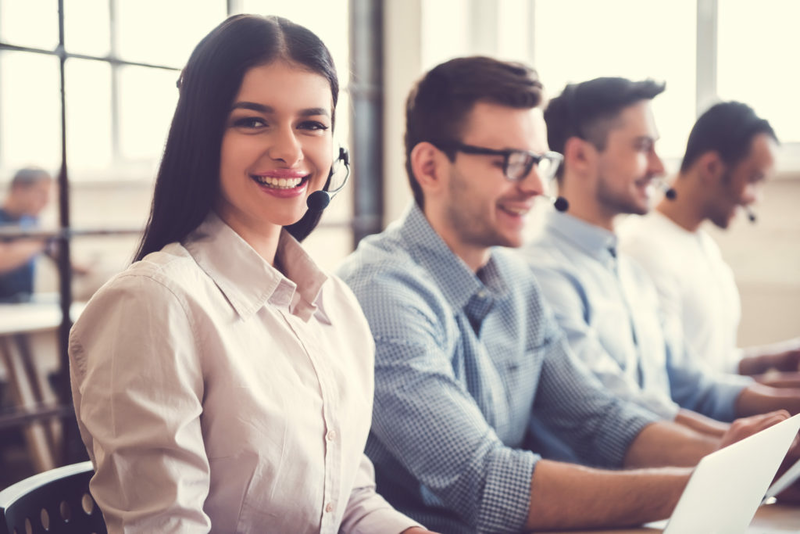 LED backlighting replaced CCFL-backlighting, delivering higher contrast ratios and an improved color gamut. Plus, the resulting TVs used less electricity. The first TV with LED-backlighting was the $10,000 Sony Qualiia 005. Introduced in 2004, the 46-inch TV transformed the entire industry. Currently a 60-inch HDTV with LED backlighting will set you back about $1,500 to $2,000. But the LED invasion of HDTVs didn’t stop with backlighting. LG showed off a 55-inch ultra-thin OLED HDTVs at 2012’s CES. The organic carbon-based compounds in the OLED can be illuminated with an electrical current, with no need for an additional backlighting. The result: The TV is only 4 millimeters thick and weighs just 16 pounds. OLEDs also use less power, offer better viewing angles, produce richer colors, and have higher contrast ratios than LCD TVs. One catch: As with the first backlit-LED TVs, LG’s 55-inch showpiece has an early adopter price: $8,000. Changing out the lights on a car can be a pain, with proprietary fasteners, awkward panels, and random engine components blocking access. 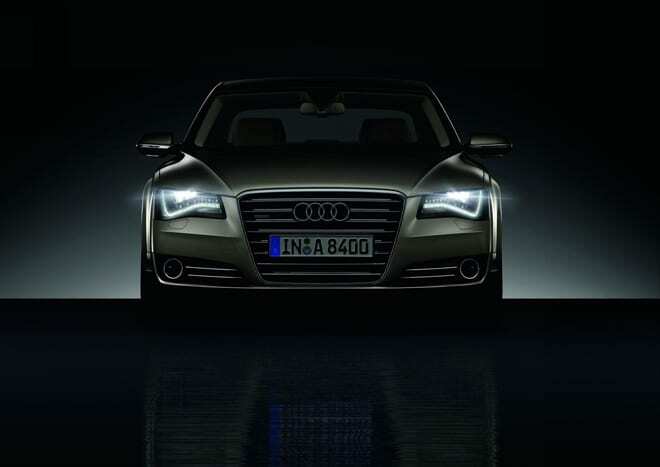 For the 2010 A8 L, Audi replaced all the incandescent lights with LEDs. The lights will probably last longer than the car. Other German carmakers followed suit. The long lifespans and low power needs of LEDs make them ideal for vehicles. But beyond practical considerations, there’s an undeniable cool factor, too. CFL light bulbs give your home the pleasant ambiance of a morgue. While the move away from incandescent lights is inevitable, the shift a new home lighting technology is at a crossroads. 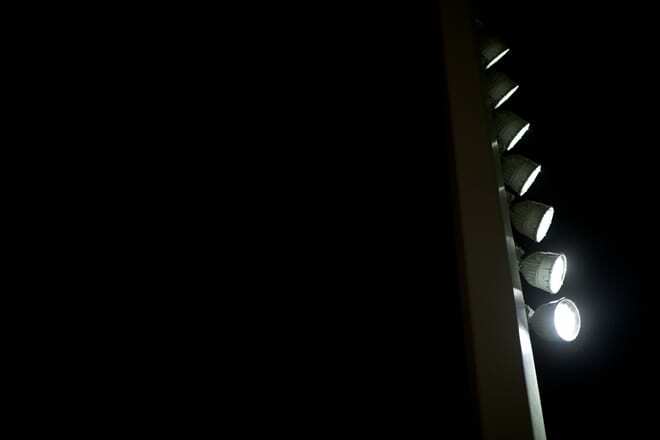 CFLs have been on the market for years but lack the warmth of the traditional light bulb. LEDs can recreate that warmth with less electricity, but they are prone to overheating. Plus, like CFLs, they can be pricey. That hasn’t stopped companies like huge corporations like Philips and GE from introducing new LED lights. But these companies are not alone. 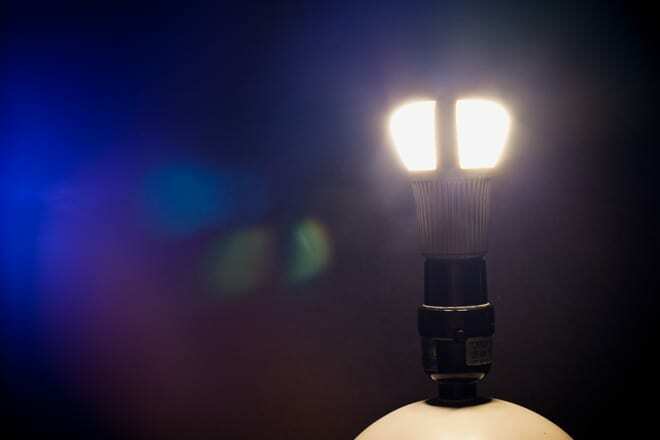 Lighting upstart Switch is working on bringing its own LED light bulb to the market. It’s a beautiful piece of technology that makes you want to throw your lamp shades away. The new section of the Bay Bridge between San Francisco and Oakland is scheduled to open in September 2013. When it does, individually focused LED lights will guide passengers across the span without the windshield glare of standard streetlights. The use of LEDs to light roadways isn’t new. Los Angeles is currently retrofitting its street lamps with LEDs to reduce energy costs. It is the first time that the light is purposely focused to reduce glare while presenting an uninterrupted carpet of light on the road. Plus, the lights won’t have to be changed for 20 years.